Fancy something different? Something amazing? - We are now offering a massive 7ft touchscreen interactive mirror which takes full length photos, single or multiple shot photos, personalised images, animated graphics, which is capable of printing in under 10 seconds. ​Our Magic mirrors have proven to be a huge hit with clients across the country. 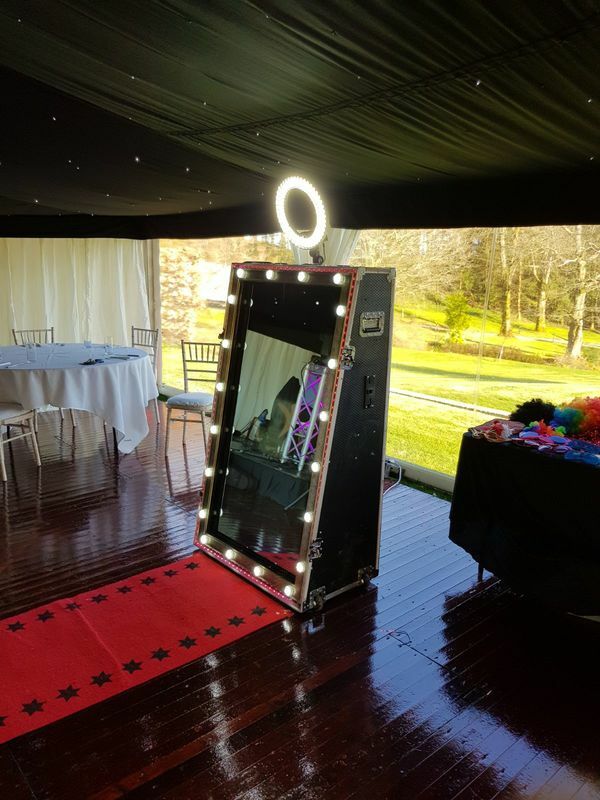 Party props are included in our magic mirror package which as standard can be hire for 4 hours during your event. The Magic Mirror Booth SE combines the love of a selfie along with the importance of capturing a full length photo. The Magic Mirror Booth SE takes high quality photographs using a DSLR camera, and prints them in under 10 seconds using a Mitsubishi Sub Dye Printer. Photos can also be uploaded to Social Media (Facebook/Twitter) or shared via email. We’ve designed the Magic Mirror to be quick, as there’s nothing worse than queueing! Get your photo taken, signed and printed all in less than half a minute. Recently updated, the Magic Mirror Booth SE is now capable of Green Screen prints, which when used in conjunction with a green screen background, will allow you to select images to replace your current background scenario.